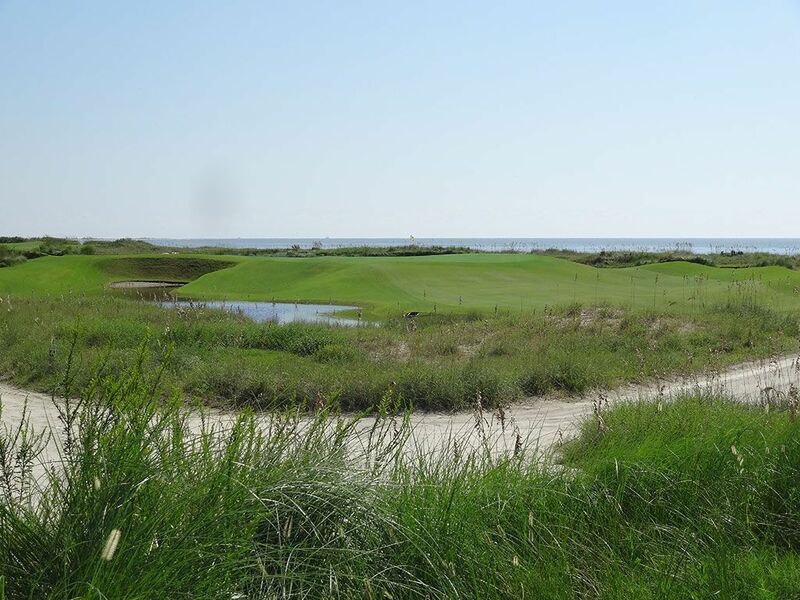 Course Website: Official Website - Visit Kiawah Island Resort (Ocean)'s official website by clicking on the link provided. Accolades: Ranked 1st in South Carolina on Golf Course Gurus' Best in State list. 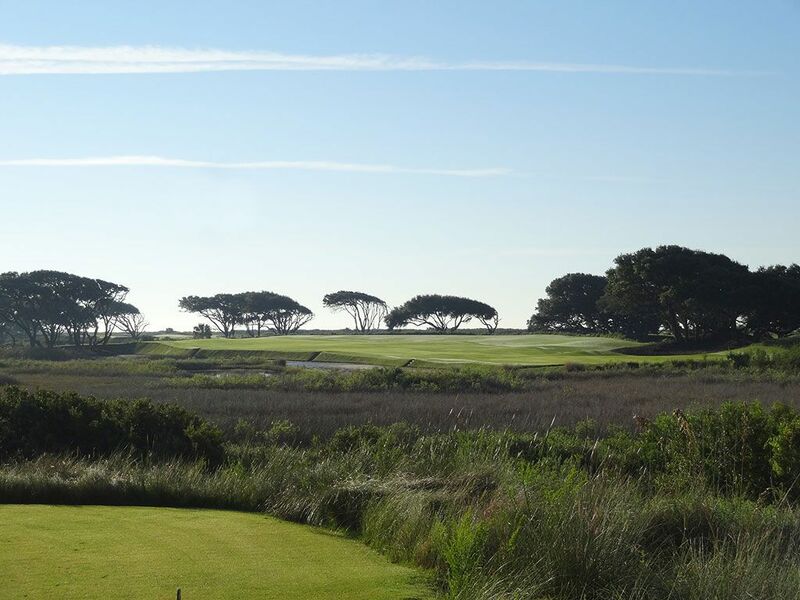 What to Expect: Located about 45 minutes south Charleston, Kiawah Island is home to over a half dozen courses and is among the elite golf destinations in the country. 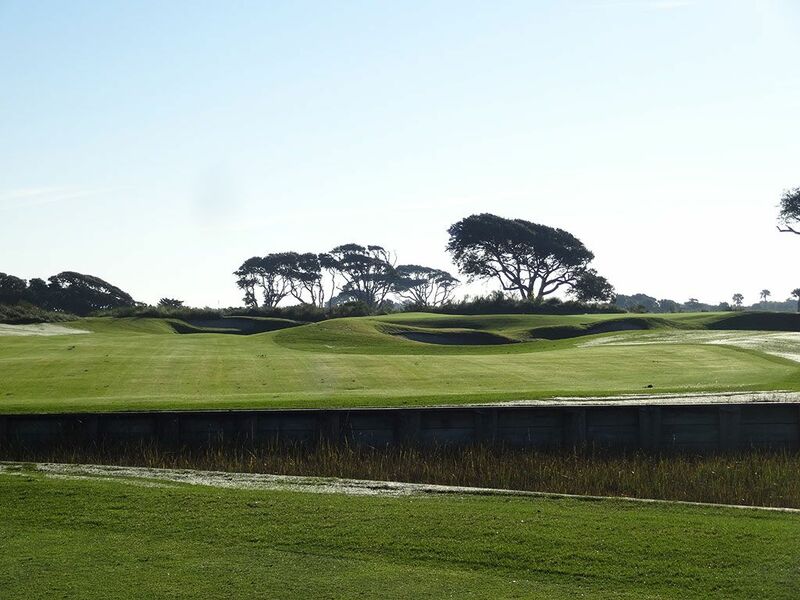 The Ocean course at Kiawah Island has garnered fame for hosting the 1991 Ryder Cup and 2012 PGA Championship where Rory McIlroy laid claim to the Wanamaker trophy. When you go to where the pros play you want to experience it like the pros do. The Ocean course gives you that opportunity as the walking-only course let's you scroll along side your caddie discussing how to approach each shot you face. When Pete Dye designed the course he brought in enough dirt/sand to raise the course a few feet to capitalize on the ocean views and to help with flooding. The majority of the greens are raised as well which puts a premium on approach shots and the short game. 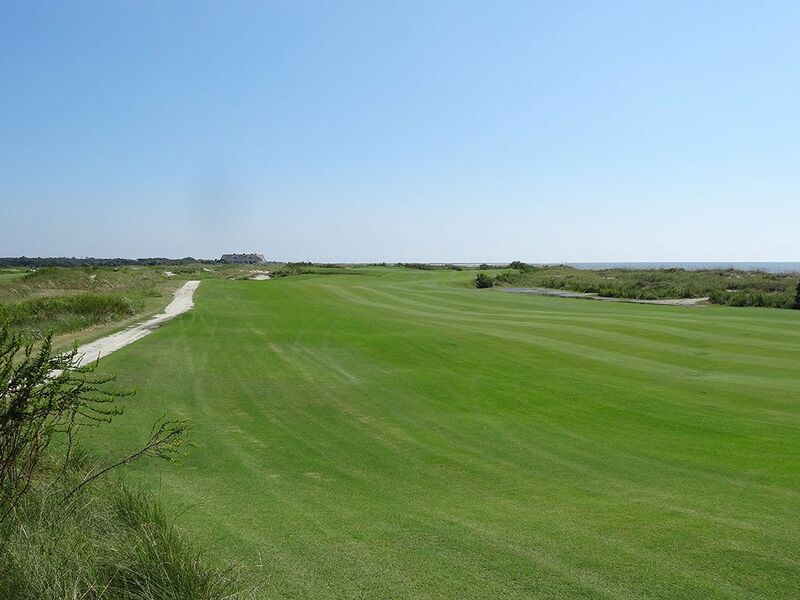 The setting is spectacular with no obstructions around the course to distract from the views, particularly the closing holes that run along the ocean. 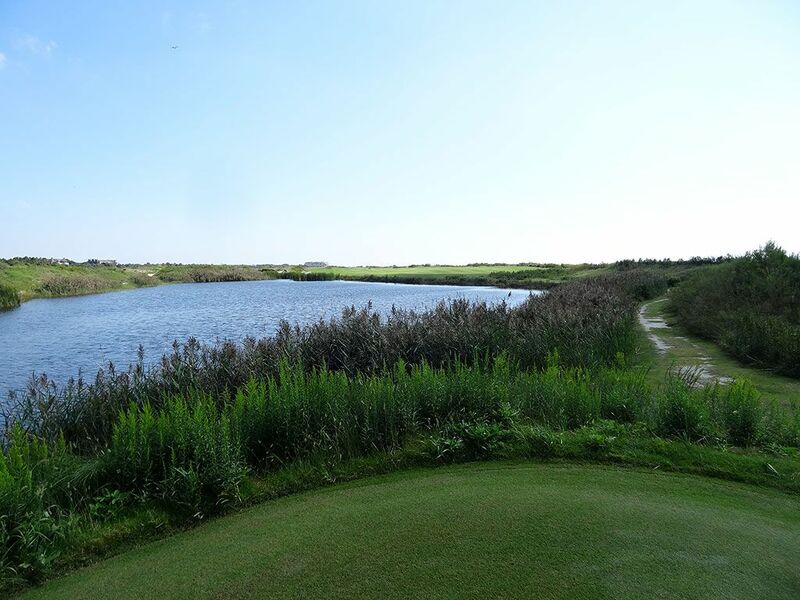 Nine of the holes play towards the east and nine towards the west so that you generally will be playing straight into the wind or directly downwind with few exceptions. There is virtually no rough on the course but instead there are several waste bunkers and native grass areas. You may not like playing from sand, but the bunkers are much easier to recover from than the native areas where balls can be quickly lost. The fairways are rather generous out of necessity due to the high winds that commonly whip up and down the coastline which becomes a huge factor given the limited number of trees on the course that could help damper the gusts. 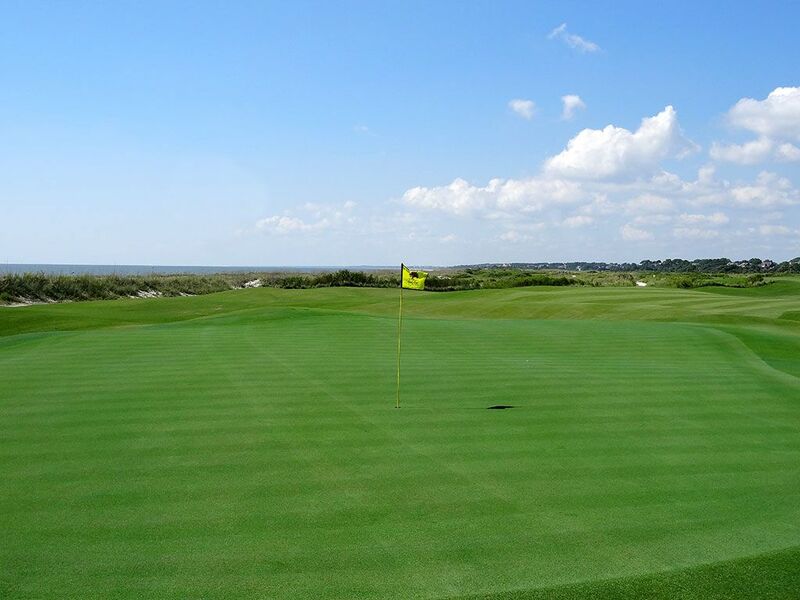 The salt tolerant paspalum grass is much more enjoyable to play on than traditional bermuda however it doesn't give the firm and fast look or feel that traditional links courses get with fescue grass which can be a problem for players who struggle with aerial shots. The design is one of my favorite Dye creations and simply one of the finest public golfing experiences in the country. Signature Hole: 17th Hole – 221 Yard Par 3 – To Pete Dye's credit, it is tough to identify a true signature hole at the Ocean course. While it is safe to say the back nine is the more memorable of the two sides, several holes on the back nine are worthy of being singled out. 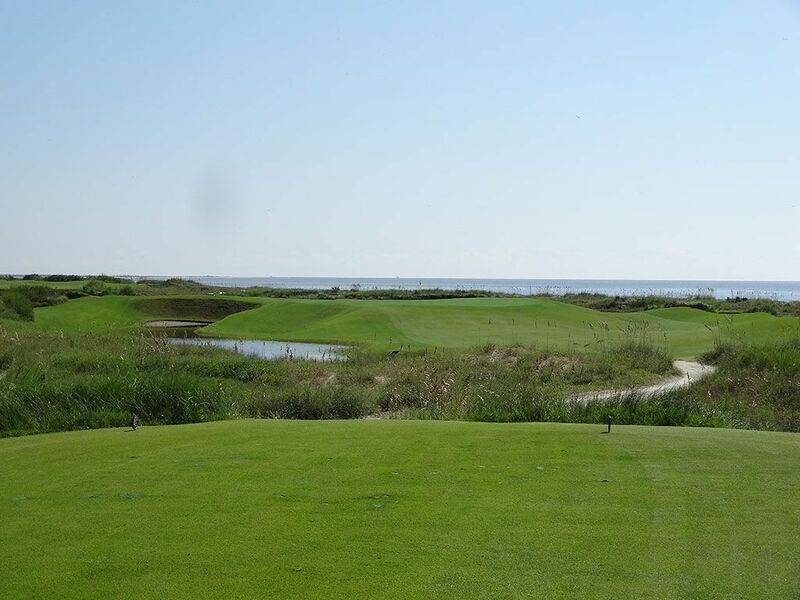 From the tee on the 17th hole, players can see the ocean off to their right and are presented with a stunning view of a green flanked by railroad ties and a water hazard in front of them. To reach the green requires a forced carry over the water the whole way, however players are offered a bail out area to the left for those that trust their short game more than their long game. It is the most visually stunning hole among the final stretch of holes that play along the Atlantic Ocean as well as one of the most difficult. Best Par 4: 13th Hole – 404 Yards – During the PGA Championship this hole played a whopping 497 yards and stood as one of the most difficult holes on the courses as it yielded more double bogies than birdies. Off the tee players are presented with a decision to make as they contemplate how much to challenge the canal that hugs the fairway on the right. Playing too far left with bring into play the waste area which will almost surely require laying up out of. The front of the green is open for players electing to use the ground game to find the putting surface while the left side is protected by a pair of bunkers. From the tee it is one of the most visually impressive holes on the property and certainly one of the most enjoyable to play. Best Par 5: 2nd Hole – 543 Yards – A unique setting is often one of the critical elements that sets courses apart from each other and the visuals on the 2nd hole temporarily took me out of South Carolina and made me feel like I was in an African savannah grassland. The umbrella shaped trees combined with the long grass that frames the fairways creates a transformation in location; particularly since the hole is located further from the ocean than any other on the course. 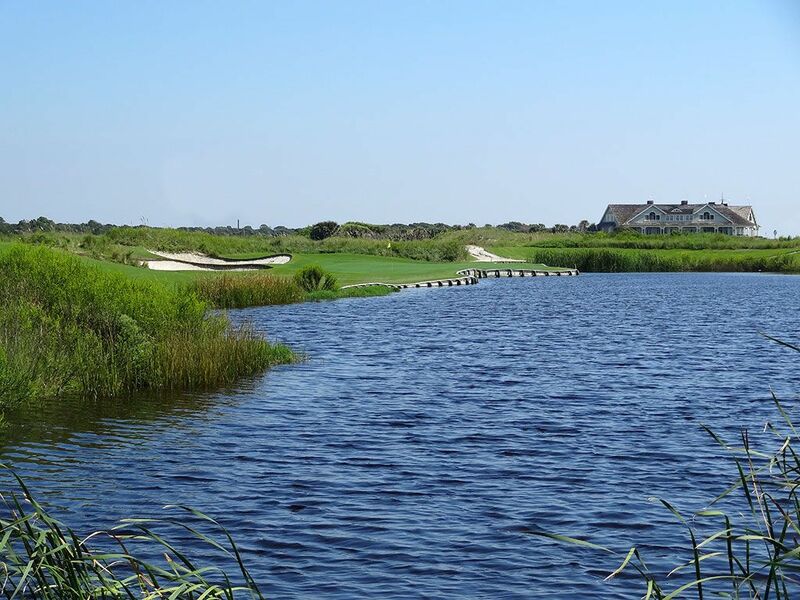 The hole doglegs left around a salt marsh and creates an opportunity for players to decide how much yardage to cut off in an effort to reach the green in two. The bunker that fronts the raised green requires players to make an aerial shot into putting surface or utilize the layup area to the left. 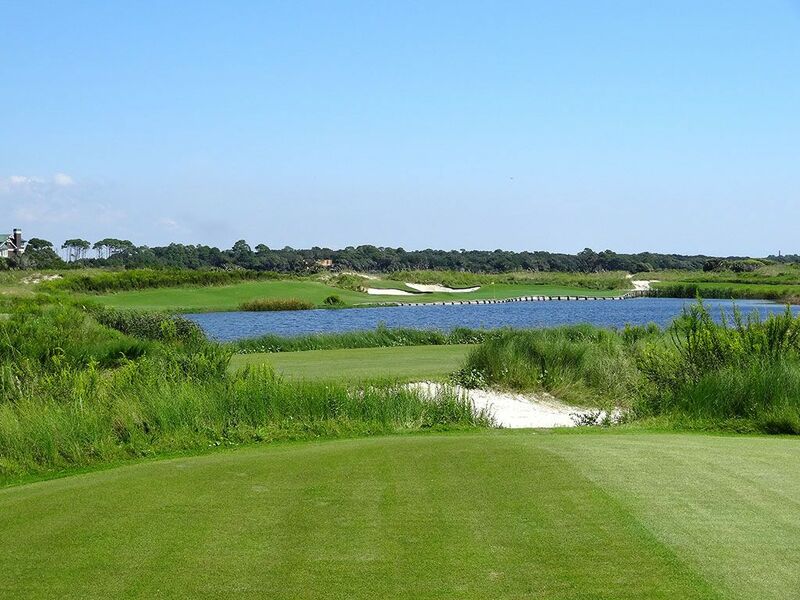 The opening hole at Kiawah Island is OK, but the 2nd hole made me excited to be there. Birdie Time: 16th Hole – 579 Yard Par 5 – Playing more strokes under par during the 2012 PGA Championship than any other, the 16th hole on the Ocean course at Kiawah Island gives you one more chance to take a stroke back before tackling the challenging final two holes. 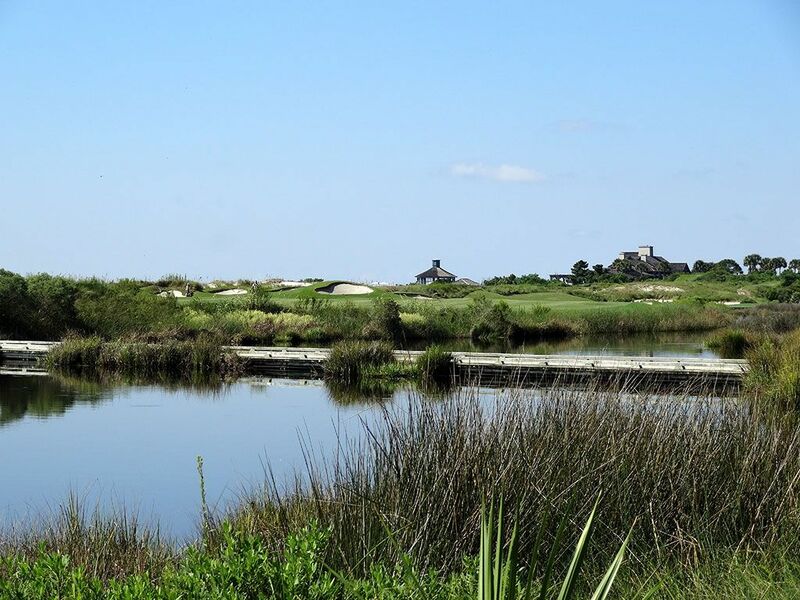 Kiawah's last par five plays straightaway down the coastline and requires golfers to carry a large pond off the tee. Once your ball finds the short grass, either on the high right side or low left side of the fairway, players are tested with an approach shot that is protected by a large, deep bunker left of the green and a waste area on the right. If you find yourself in the bunker on the left then you face one of the most difficult and intimidating sand saves on the course. The wind will almost always be to your back or directly in your face which will heavily dictate how to challenge the hole. On a side note, the views from the 16th green creates some of the best eye candy on the property. 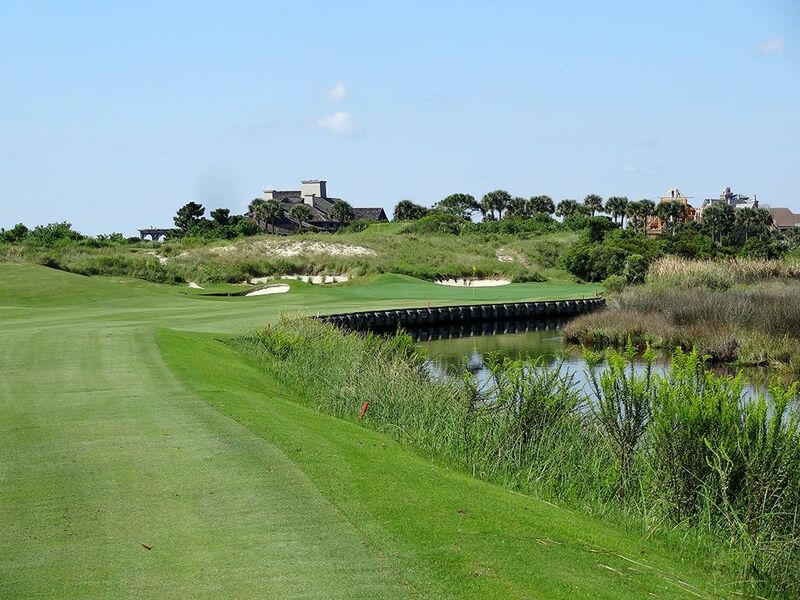 Bogey Beware: 18th Hole – 439 Yard Par 4 – The finisher at Kiawah is one of the best and most difficult holes on the property. 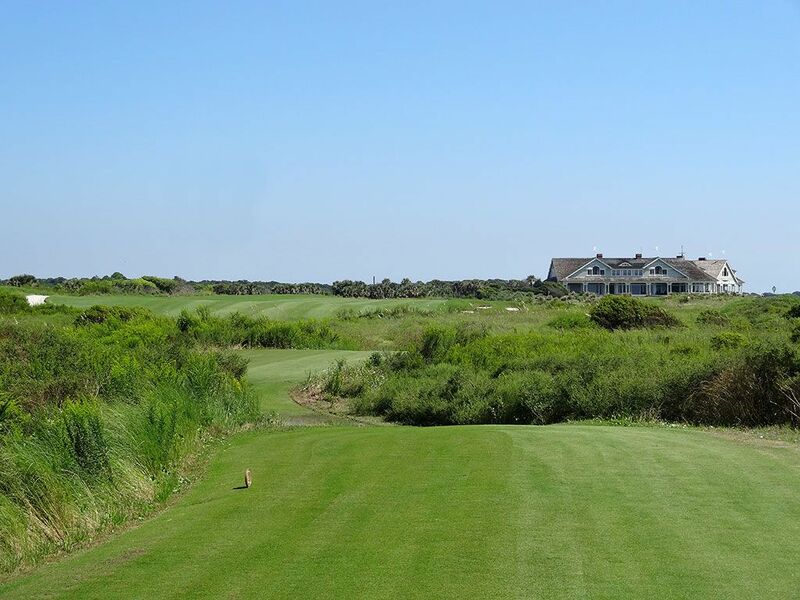 With the ocean on the right and the clubhouse straightaway in the distance, the setting and visuals of the 18th are some of the finest you'll find on the east coast. Players that are willing to flirt with the coastline down the right side of the hole will find themselves in the best position to attack the green. The elevated putting surface opens up from the right whereas the left side falls into a bunker complex that you don't want to find yourself in. Playing into the wind makes this hole a bear to contend with and certainly makes it a memorable finish to one of the finest public courses in the country.